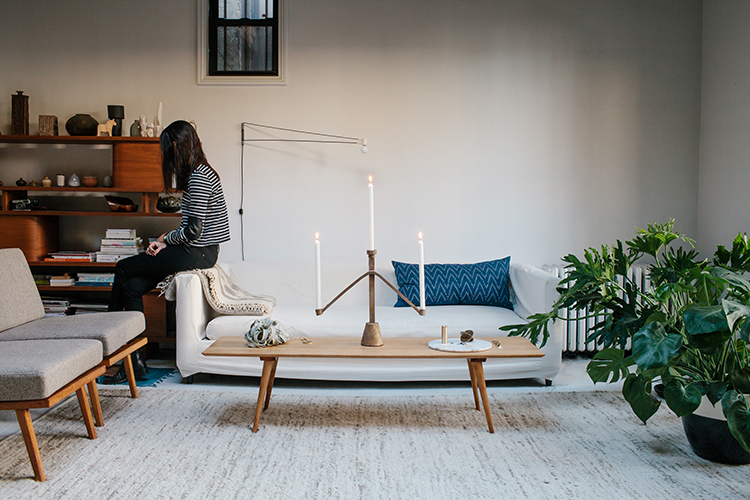 The Sprue Candelabras were designed by Fort Standard in 2014 and remain a favorite today. The solid bronze candelabras strip down the idea of casting to make the process integral to the designs. Gating wax is a soft extruded wax normally used to create funnels or “sprues”, which direct the flow of molten metal to any object being cast. The Sprue Candelabras leverage this process to make it a part of the actual forms. The base of each Sprue acts as a pour spout for the molten metal to flow through the rest of the wax casting. The textures within the wax translate into the bronze, so the castings are left intentionally raw, allowing the surface to tell the story of how it was made. There are three Sprue designs, which all add a beautiful, unique focal point within any room.